In some US jurisdictions, the denial rate for refugees seeking asylum is as high as 98 percent. If you’re scared for your life, persecuted because of your religion or your politics; if you’ve been a victim of torture at the hands of your government; if you have been repeatedly abused or raped by your spouse, and you’re seeking refuge in a land of the free, don’t go to Atlanta. Don’t go to Charlotte, either. Nor will you be likely to find safe harbor in Houston, Dallas, Omaha, or Las Vegas. 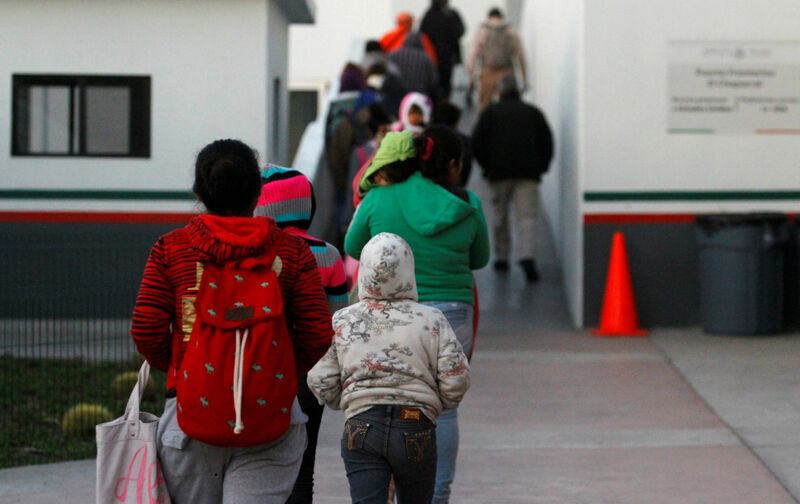 Nationally, the average asylum-denial rate in courts overseen by the Department of Justice’s Executive Office for Immigration Review (EOIR) rose last year to around 57 percent—but in the jurisdictions cited in the IACHR petition, that rate was as high as 98 percent. According to the petition, these jurisdictions are violating the asylum seekers’ mandatory protection of non-refoulement, a principle originally enshrined in the 1951 Refugee Convention and incorporated into US law in the 1980 Refugee Act. Non-refoulement, a concept developed after the refusal of nations to offer protections to refugees fleeing genocide in Nazi Germany, is a promise not to throw anybody back into whatever danger they’ve just escaped from. But judges in Charlotte and Atlanta, among other cities—by systematically discouraging potential asylum applicants from applying in the first place, and overwhelmingly denying their claims when they do—are deporting people back into situations of grave and often mortal danger. Sarah Owings, an immigration attorney who has been practicing immigration law in Atlanta for a decade, described to me one Mexican woman’s asylum appeal. The woman cited extreme domestic abuse, including her husband’s “tying her to her bed like a dog.” The woman had already tried to relocate inside of Mexico (impossibility of internal relocation is a requirement for asylum) but was found and abused again by her husband. Despite this, an Atlanta judge denied her asylum claim. According to the petition, a judge in Atlanta told another asylum seeker, “Well, if they really wanted to kill you, don’t you think they would have?” The remark is akin to telling a cancer survivor: If it was so serious, don’t you think you’d be dead? In essence, families in states outside of the jurisdictions covered by the Atlanta and Charlotte courts live under a different legal regime. This differential, the petition alleges, is “arbitrary and capricious,” denying asylum seekers equal protection before the law. The disparity in grant rates, however, is not only geographic. The petition also mentions a 2007 study, “Refugee Roulette,” which describes how Colombian asylum applicants in Miami had a “5 percent chance of prevailing with one of that court’s judges and an 88 percent chance of prevailing before another judge in the same building” (emphasis added). Though part of the problem may lie in the subjective nature of adjudicating complex and unique cases in asylum-free zones, courtrooms have become hostile environments. As Baluarte explained to me, the EOIR’s hiring trend of putting former prosecutors or former Immigration and Customs Enforcement (ICE) officials on the bench is basically “cementing the prosecutorial culture” into place in an environment that should strive for providing even-handed and equal protection. Judges have been known to “bully” clients away from even applying for asylum, Baluarte said. At initial hearings, called Master Calendar Hearings (before an asylum seeker actually begins defending a claim) judges will tell clients (who are typically without representation), “That doesn’t sound like a real claim,” or will schedule a hearing for the following day—effectively “setting people up for failure,” according to Baluarte. Judges discouraging individuals from making asylum claims, rejecting established case law, or disallowing telephonic expert witnesses are examples of what the petition describes as sub-regulatory rules, which are individual judges’ de facto rules, and not nationally approved or consistent with other immigration courts. Owings explained the deleterious effects of one sub-regulatory rule to me: As there are no expert witnesses in the Atlanta area that can testify to Honduras country conditions—country conditions being a fundamental aspect of asylum cases—and Atlanta judges don’t allow telephonic expert-witness testimony, attorneys have to pay to fly experts in, which can be prohibitively expensive. Other burdensome sub-regulatory rules include not following the standard guidelines for allowing change-of-venue requests (to less hostile or unsympathetic jurisdictions) or, instead of granting continuances (a chance for an attorney or a self-representing claimant to continue to work on the case) of 45 days, allowing clients just a few days to prepare their cases. One client whom Owings ended up representing was granted a continuance of only four hours. Judges also consistently deny granting bond, which forces clients to make their claims from behind bars. These sub-regulatory rules, followed at the whim of individual judges, combine with what seems to be a higher evidentiary standard to qualify for asylum in Atlanta. According to the 1987 Supreme Court case INS v. Cardoza-Fonseca, asylum applicants only need to demonstrate a “well-founded fear,” or a 10 percent chance of persecution (lower than other burdens of proof, such as those used in criminal proceedings). But in Atlanta, the evidentiary burden has gotten so high, according to Owings, that potential asylum seekers, even those with strong claims and legitimate fears, are not even bothering to go to court. Founded in 1983, the EOIR is charged with adjudicating “immigration cases by fairly, expeditiously, and uniformly interpreting and administering the Nation’s immigration laws.” Though there is no clear metric for fairness, a quick look at the numbers shows that there is nothing at all balanced in EOIR’s interpretation of the laws. And expeditiousness may actually be part of the problem. A year ago, ICE conducted a series of raids in both Atlanta and Charlotte, which attracted national attention. I asked Stephen Manning, one of the petitioners to the IACHR and director of the Innovation Law Lab, if there was a connection between asylum denials and the raids. He described a culture of “unhealthiness in the adjudication system” that leaks into the enforcement system, explaining how “ICE engages in powerful displays by knocking down people’s doors.” “In Atlanta,” Manning said, “ICE is ascendant. They simply don’t respect rule-of-law principles.” Most of the people whose doors were knocked down and were swept up in the raids had been denied asylum, or had been deterred from applying in the first place, creating a large pool of potential ICE targets. Given the incoming Trump administration’s anti-immigrant and openly racist rhetoric, as well as the likely appointment of Senator Jeff Sessions as attorney general, the plight of asylum seekers may get worse. “If Sessions has his way,” Baluarte told me, “he could turn every jurisdiction in the country into an asylum-free zone.” Recently released data from Syracuse University’s Transactional Records Access Clearinghouse (TRAC) show that as the number of asylum seekers has gone up by almost 20 percent in the last year, to over 22,000 cases, the denial rate rose to 57 percent. In 2003, the number of asylum decisions reached nearly 36,000, with a denial rate of 62 percent, though it wasn’t until 2008 that a systematic study was conducted looking into geographic discrepancies. TRAC also reported that the number of asylum seekers representing themselves continues to increase, with 9 out of 10 self-represented claims being denied. EOIR responded to the petition at the IACHR by saying, basically, that they were taking the petition seriously, and that they would study it. Baluarte countered by reminding the Commission that EOIR had already studied it, after a Government Accountability Office (GAO) report issued in 2008, following which there have been, Baluarte maintained, no substantive changes. In fact, last year the GAO published another report revealing essentially the same problems, and asylum-denial rates in both Atlanta and Charlotte, despite hearing more cases than ever, have gone up. Kathryn Mattingly, assistant press secretary for EOIR, responded in an e-mail, “EOIR takes seriously any claims of unjustified and significant anomalies in immigration judge decision-making.” Mattingly also cited annual programs designed to train judges in asylum law and unbiased decision making. Elizabeth Matherne, a private immigration attorney in the Atlanta area, told me about one of her clients from Guatemala who, despite receiving direct threats, testified for a US Attorney against a fellow drug trafficker. The day before his testimony, his brother, in Guatemala, was stabbed as a warning. The man filed an asylum claim, expressing fear of returning to Guatemala. His case included an expert declaration, a letter from the FBI agent he worked with, and what Matherne described as credible testimony. The judge denied his claim and ordered him deported. This November, the man’s fears were realized when he was gunned down and killed in Guatemala. Nine days after his murder, his brother was murdered. It can be hard to determine whether a fear is legitimate—that it’s not unfounded, overstated, or used as a stratagem to obtain legal status. But there is undoubtedly widespread violence and persecution in the countries the asylum seekers are fleeing, and, according to the IACHR petition, in some jurisdictions, judges are not even trying to validate these claims. In the case of Matherne’s client from Guatemala, at least, his fear was proven “well founded” when he was gunned down.